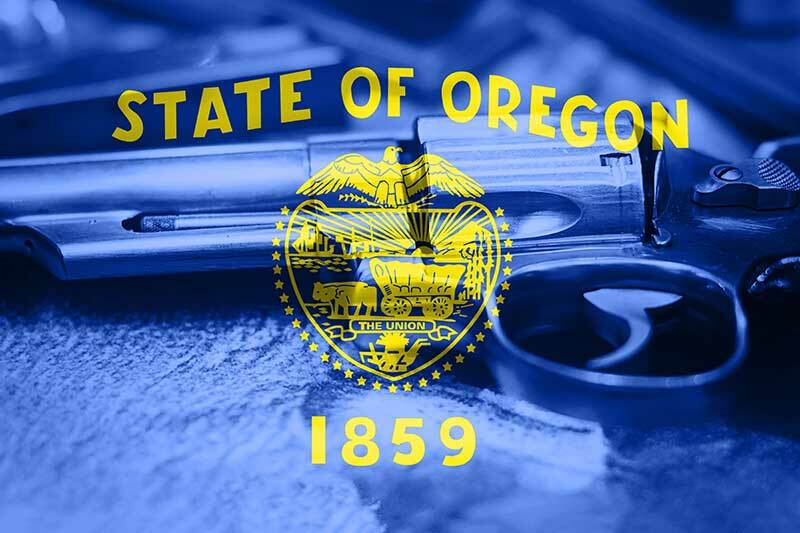 If passed, Senate Bill 501 would make Oregon’s firearms regulations among the strictest in the U.S. Compared to most other western states, Oregon already has stricter gun laws. The bill proposed to appear in the Legislature this year would require Oregonians to obtain a permit before buying a gun, limit the amount of ammunition a person could buy, outlaw magazines with a capacity of more than five rounds, and create gun locking and storage requirements. Some other 2019 bills focus on aspects of SB 501, such as raising the minimum age for purchasing a gun to 21, lengthening background check delays or setting firearm locking requirements. But no other bill attempts to achieve as many gun-control goals as SB 501. The bill came from Students for Change, a group of Lake Oswego teens formed last year after the shooting at Marjory Stoneman Douglas High School in Parkland, Florida. They lobbied lawmakers and Gov. Kate Brown last year and pledged to come back this year with a legislative proposal. The bill would require a person receive a permit from their county sheriff before purchasing a gun. To qualify for a permit the person would need to: be at least 21 years old; have no criminal convictions; have not violated a restraining or stalking order; not use illegal controlled substances; and provide proof of completing a firearms safety course. Within a 30-day period, someone could apply for one handgun permit and one rifle or shotgun permit. If someone meets all of those requirements, a sheriff could still deny a permit if he or she “has reasonable grounds to believe” that they are likely to be a danger to themselves or others. Copies of each permit approved would be kept by the sheriff for at least one year. If it were to pass in its current form, the bill would also require all “large-capacity” magazines be altered, given to law enforcement or disposed of within 180 days after passage. The ban wouldn’t apply to law enforcement officers or military members who need larger magazines for official duties. Capping at 20 the number of rounds of ammunition a person could receive in a 30-day period, exempting shooting ranges. Requiring firearms be stored with a trigger or cable lock or in a locked container when not carried or within reach of the gun’s owner. Gun owners would be required to report the loss of a firearm within 24 hours.